CyberHive Members are able to enrich their workday with coffees and teas thanks to the Grind Café occupying a corner of the first floor at First and Fir. But for some, trying to understand a café menu means Googling a bunch of strange words (like americano and matcha). So to help, we’ve compiled this sampling of lingo from the Grind Café list of options. Brewed Coffee: This is just like the stuff you make at home with Mr. Coffee. Espresso: Compressed coffee. The caffeine in one shot of espresso equals a small cup of coffee. Mocha: Anything that combines coffee with chocolate. Americano: This is a cup of hot water with a shot or two of espresso. It’s made to replace a brewed coffee. See story below. Europeans generally don’t make brewed coffee. Europeans drink instant coffee at home and espresso when at a restaurant or café. During WWII, the American soldiers wanted a brewed coffee – just like Mom used to make. 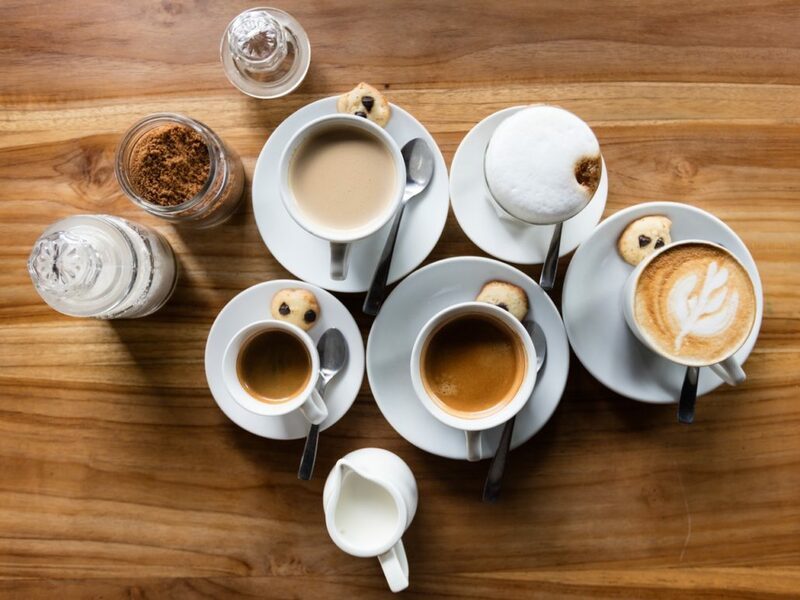 But without any Mr. Coffee makers, the Europeans mixed espresso and hot water to mimic American brewed coffee for the soldiers… thus they created the americano. White Tea: Same plant as in black tea, just from young leaves. And so, yes, it has caffeine. Green Tea: Again, same plant that makes black tea and white tea, but processed differently. Yes, it’s got that caffeine kick. Matcha: Ground up green tea. Very concentrated and so, high in caffeine. Herbal Tea: Technically herbal “tea” isn’t tea – any true “tea” comes from one, specific plant. Herbal “tea” is also referred to (correctly) as an infusion. Generally, herbal infusions have no caffeine. Mint Tea: Mint tea is not green tea. Mint tea is generally a combination of the mint leaves and other plants that are not from the tea plant. So, it’s almost always caffeine free. Frappuccino: The Frappuccino is a term trade-marked by Starbucks to describe their ice, blended drinks. It developed as a mix of the word, frappe and cappuccino. You won’t see the word, Frappuccino, used (legally) in any café except a Starbucks. However, you can order an iced-blended beverage almost anywhere now because Starbucks made them so popular.